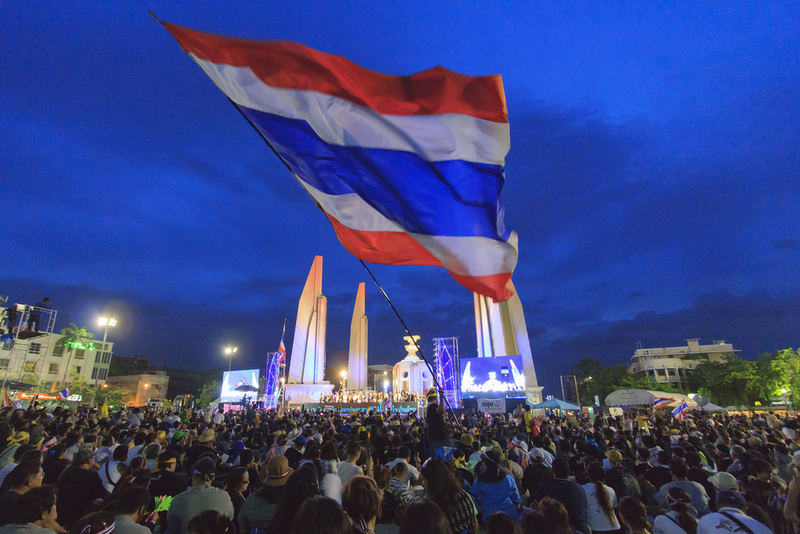 The 7 August poll is intended to pave the way back to democratic elections in 2017 and restore civilian rule, in a process closely-watched by the EU – which put on hold a Free Trade Agreement with Bangkok after the military coup. But one of the key draftsmen of the new constitution has admitted to euractiv.com that the plebiscite could get delayed if anything happens to the ailing 88-year old king – who has not been seen in public for months. Speaking in Brussels, Norachit Sinhaseni, a member and spokesman for the Constitution Drafting Commission, said Thais “would understand” if there was a postponement of the referendum, even if the “outside world” did not. The 105-page, 279-article constitution (there is no English-language version, but here is an ‘unofficial’ translation approved by the United Nations and International Committee of Jurists) has already come in for withering criticism from human rights bodies and outside observers. They argue it leaves power in the hands of a nominated senate and with the ruling military junta, and criticise the referendum campaign itself. 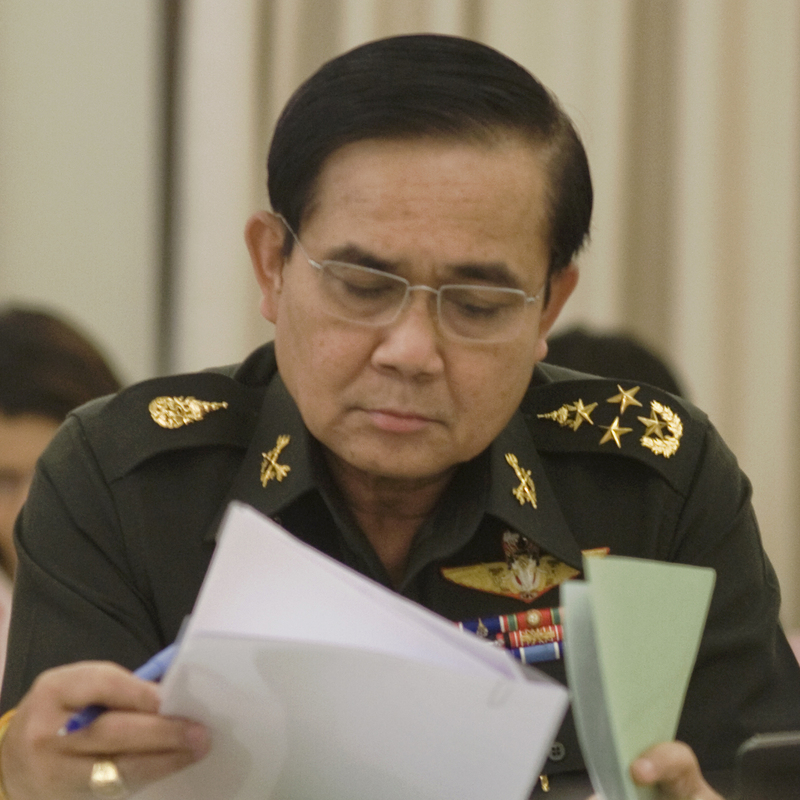 According to General Prayuth Chan-ocha, the military leader now running Thailand, anyone campaigning against the constitution, or voicing criticism of it, could face up to ten years in jail. The main criticisms of the constitution are that it allows for an unelected prime minister, and the junta picks the panel which appoints the unelected upper house, or senate. Seats are also reserved for the air force, navy, army, police and military supreme commander. The Thai government is increasingly cracking down on its critics, warned the German government’s foreign affairs committee ahead of the Southeast Asian country’s vote on its new constitution. EURACTIV Germany reports. The senate would be able to bring down an elected government through forcing a vote of no confidence in the lower house. Many external analysts believe the military want to remain in power to oversee any transition in power from King Bhumibol Adulyadej, who has been on the throne since 1946, and is the world’s longest-serving monarch. Although the king is widely-revered in Thailand, his son and heir, Prince Vajiralongkorn is less so. He has been married three times, spent much of his life in Germany, and was filmed at a lavish birthday party with his dog, and partner wearing nothing but a G-string. The monarchy and the military, the two most powerful institutions in Thailand, are closely intertwined. The close ties date back to the student protests of the 1970s, brutally put down by the army, and a succession of military coups since. Asked by euractiv.com if the referendum date was “set in stone, or could be subject to delay if the king passed away”, Sinhaseni replied, “That is a good question. 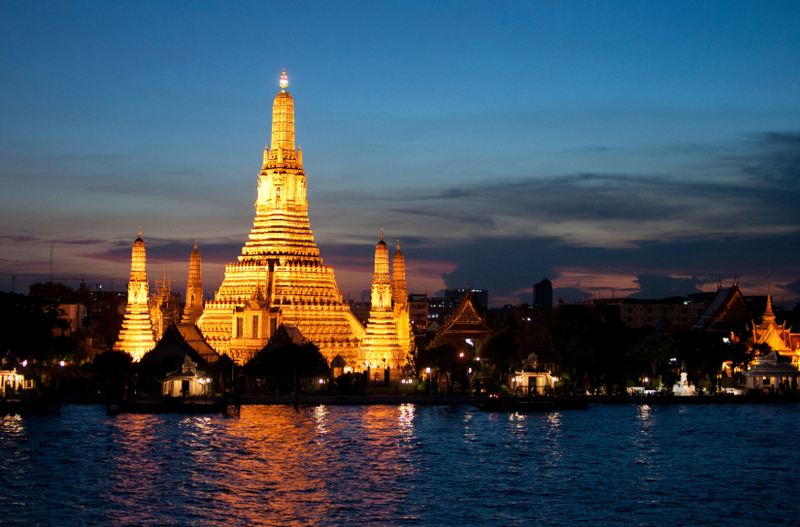 “The Thai people would be in deep mourning. There is a precedent. This happened before, with the prince’s mother…a year of mourning. Sinhasen was speaking after an event in June organised by the EU-Asia Centre, which saw heavy criticism both of the constitution, and of the ruling junta. Under the junta, which overthrew the democratically-elected government of Yingluck Sinawatra in May 2014, critics, activists and journalists have been subject to “attitude adjustment” camps. Any criticism of the king – or even his dog – has seen perpetrators given lengthy prison sentences, under the county’s draconian ‘lese majeste’ laws. The coup saw Brussels put on ice talks on a Free Trade Agreement (FTA), while those with Singapore, Cambodia, Vietnam and other ASEAN members have either been signed or are in progress. Thailand’s key fishing export sector, worth some €2.7bn annually, is also under close scrutiny from the Commission. Due to abuses of fishing stocks, and labour rights abuses, the industry is currently under a ‘yellow card’ warning. Any upgrade to a red card would see imports to the EU banned. Thailand’s military junta came under cross-party attack at the European parliament on Thursday (8 October), with MEPs demanding a return to democratic rule, the release of political detainees, and an end to human rights and labour abuses. The European Parliament has also roundly condemned human trafficking and child labour and rights abuses in Thailand – pointing to the case of British lawyer and activist Andy Hall, who is facing up to seven years in jail for helping expose rights abuses in the tinned fruit industry. 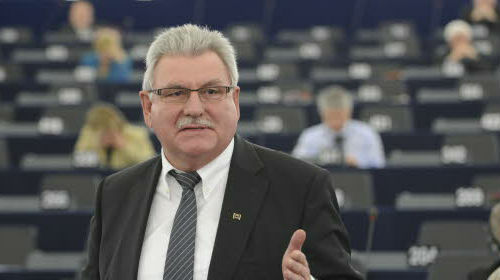 The country’s wide-ranging defamation and ‘computer crime’ laws allow for prosecution of Hall, even though he only conducted the interviews for a Finnish NGO report “Cheap Has A High Price”, rather than writing the report itself. His case has been championed by MEPs, and any guilty verdict would likely be another stumbling block in any normalisation of Brussels-Bangkok relations. Previously, Professor Peter Leyland, a leading expert on Thailand, and author of The Constitutional System of Thailand: A Contextual Analysis, told EURACTIV earlier this year that he had “very little faith” in the constitutional process. “I think they [the junta] are hoping they can string people along. They are calculating that as long as they are promising some kind of referendum on the constitution, that states like the US and Britain and so on will give the benefit of doubt to the regime. If the constitution is approved in August’s referendum, elections have provisionally be pencilled in for “mid-2017”, although there is not yet an official date. 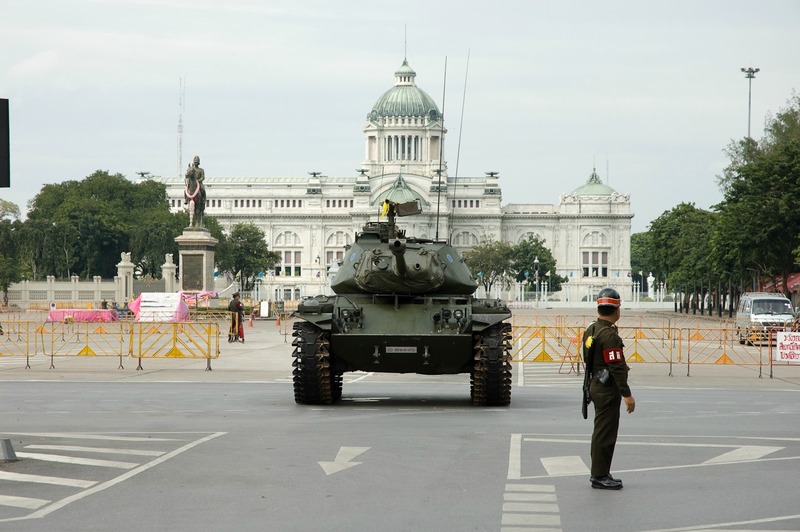 Thailand suffered a military coup in May 2014 - overthrowing the democratically-elected government of Yingluck Shinawatra after months of street protests, just as the second-largest economy in ASEAN was about to sign a Free Trade Agreement with the EU.